YS Flight Simulator Game - Download and Play Free Version! Mankind may be a ground-born species, but that does not mean we always have to constrain ourselves to the earth. Since the Wright brothers discovered the secret of flight, we have since developed bigger, better and more efficient ways to make it happen. The magnificent flying machines known as airplanes are truly fascinating devices. With YS Flight Simulator, you can now experience the joy of piloting them from the safety and comfort of your own home. You will learn how to take off without a hitch, navigate your way through the sky, and land safely back onto the ground like a professional pilot. YS Flight Simulator does not pull any punches when it comes to realism. It aims to provide you with everything that goes into flying a plane. Don’t think for a moment that you’ll need a super-powered rig to play this game; YS Flight Simulator has been carefully designed from the ground up to play on older machines that were put together well over a decade ago. 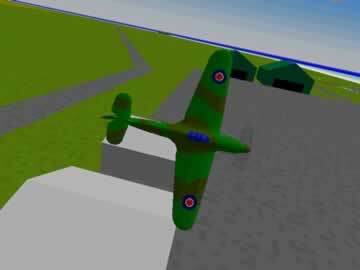 Get a good look at your plane by playing from a third-person perspective. Alternatively, play directly from the cockpit in the first-person view for maximum immersion. Play with either a classic 2D HUD or a 3D instrument panel. Learn how to gain altitude, bank your vehicle correctly, extend and detract your wheels for landing and takeoff, flap your wings, and so on. 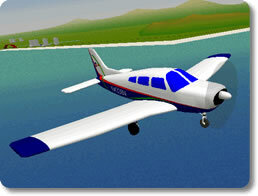 Just like in the real world, flight has a great many applications in YS Flight Simulator. It provides different vehicles, locations, game modes and objectives for you to take part in using the aircraft of your choice. Take control of over 50 different planes. Play on over a dozen maps that take place over real locations, including Hawaii, Naha Airport, Crescent Island, and more. Practice your skills or enjoy peaceful flying without a care in the world on Free-Flight mode. Play an Intercept Mission for a more fast-paced experience. Bomb your enemies, protect your bases, and engage in aerial dogfights against computer opponents. Learn to take off and land your vehicle on something as normal as an airport runway, or as exotic as an aircraft carrier. You don’t need to fly alone in this game. YS Flight Simulator provides a number of different ways you and other players can enjoy the thrill of flying together. Set up a server for other players to join and enforce your own rules. Play cooperatively with other players in taking out enemy aircraft and ground forces. 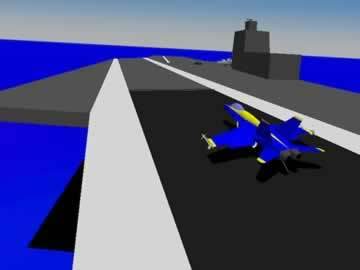 Arrange for impromptu dogfights against human-controlled opponents. Simulate real-world air traffic control and scheduled commercial flying alongside numerous other players in Civilian mode. More than anything else, YS Flight Simulator is a flying simulator for the budget-conscience. Neither the engine nor graphics are too demanding, so it should be able to run on your computer regardless of its age. However, the best thing about it is that it’s also completely free! If you would like to experience the joy of flying with controls that are as authentic as you can get with a mouse and keyboard, then YS Flight Simulator is a safe bet all around. There’s nothing to lose in just checking it out.